Sparkle up the bar line with the Prism Tree Drink Ticket. This rainbow-colored design features a thoroughly modern Christmas tree design, formed from dozens of bright and shimmering triangular shapes, to create a beautiful effect of grace and light for all of your upcoming seasonal holiday celebrations. 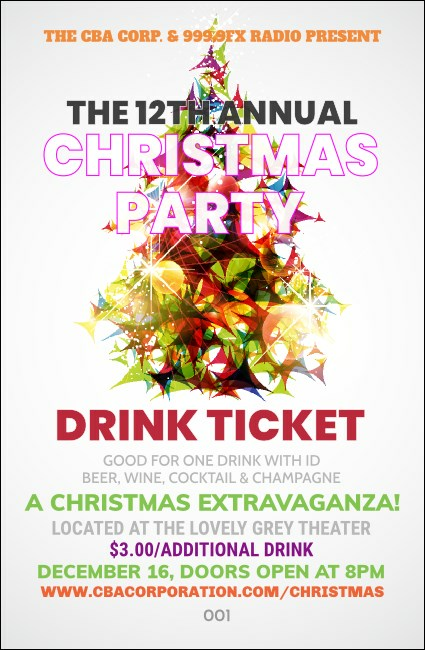 Light up the season with TicketPrinting.com.